This Warrior build will focus more on using Dual Wielding or Two-Hand Weapons and Parry to increase survivability. Taking hits really can't be avoided since you are a a melee fighter, but it can be reduced by using "Quick Hit and Runs". How? after your initial attack, move back then do another quick attack, spam repeat until targets are dead. If you are hitting the enemy with quick hit and runs, without getting any damages, then you are doing it right. Works great against melee enemies, but not for ranged ones. - Always remember, a higher Lvl gear is always better in terms of base stats (Health, Armor and Str), regardless of their rarity or grade. 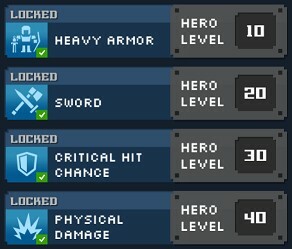 - This is pretty straight forward, just collect high Lvl gears that you can, then craft the other gears that you don't have by using Tier 1 Cubelets. - Once you have a complete set of gears, save your T1 Cubelets and Convert them to Tier 2 for crafting better gears. To save inventory space, only convert if you need them for crafting. - Once you reach Tough Mode and unlock Hard Mode, start farming Gold, Soul and Cubelets on the Land of Demise - Hard Mode. Go and farm stages that you can, even if it's just on Land of Demise 1/12. - Craft and upgrade 2 one-hand weapons of your choice first using T3 Cubelets, get the other gears by either crafting or from normal stages or Mini-boss stage drops. - Note: Mini-Bosses and Boss stages have higher chance to drop gears/chests with higher lvl, rarity or grade (Example Land of Demise 3/12). - Do this until Tough Mode becomes easy to beat. - Now start adding in Critical Chance then Critical Damage. - Also start adding in Life on Hit and Mana on Hit if you find one, 2 great stats with very small bonuses but still helpful when stacked at higher levels (I think they nerfed this though). - This is where your farming life begins. - Unlock Brutal Mode and farm on Land of Demise stages, even if it's just on 1/12. Get T3 Cubelets there and convert them to T4, then craft another 2 one-hand weapons of your choice. - So basically it's the same as the above method, unlock highest Mode that you can and farm Gold, Soul, and Cubelets there, with some gears and chests too if you are lucky. - Do this until Hard Mode is easy to beat, then repeat same method until end game. How to Farm Gems and Orbs? - Also use Gems and Orbs from here on to increase or add stat bonuses, rarity or grade. Farm them from the dungeon or through first time clear bonuses. - Can also be obtained from Mystery Boxes, use any keys. How to Farm Skill Books? - Get them from Mini Boss stages but Boss stages have greater chances. - Recommended at least Hard Mode, yes because difficulty also affects the drop rates. - Hero Lvl 10: Heavy Armor is more suitable for this build. - Hero Lvl 20: Sword, Axe, or Mace, your choice. Sword is faster with AoE damage pattern, while Axe and Mace deals higher damages vs single targets with slower attack speed pattern. - Hero Lvl 30, Any except Mana. - Hero Lvl 40, Any will do but preferably, go for either Holy or Physical if this is your first hero. Why? because both attributes are under Path of Power (STR+), a talent path suitable for Warriors. - Note: Arcane and Lightning are very good attribute choices for weapons, since most monsters doesn't have resistances over them. What If My Hero Dies? - Happens, but only revive up to 3 times using Souls, above that will require 800 Souls then 8000 Souls so better give up. 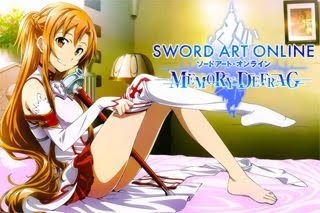 Roll what you can and continue, at least get Sword, Axe, or Mace depending on the weapon/s you have saved or using. I Want to Use a Two-Hand Weapon, Is It OK? - Two-Hand Weapons are also viable for this build, the reason why I didn't start with them is because their Parry chance is simply lower than Dual Wielding builds. - If you really want to use one, it's better to start using them at higher levels where you can get at least 20%+ Parry, if you can find a higher one, the better. - Also modify the Trait of your Hero to utilize your weapon choice. - Upgrade All Paths to Lvl 1 to reduce prices. - Lvl 6 Path of Power then all to Path of Mastery. Note: I will not consider chance drop skills early game for now to make this guide friendly to all, but if you are lucky enough to get a nice skill recommended for higher levels then go on (check below for the list of skills for this build). - Stomp can be obtained from (Lost Oasis - First Time Clear). 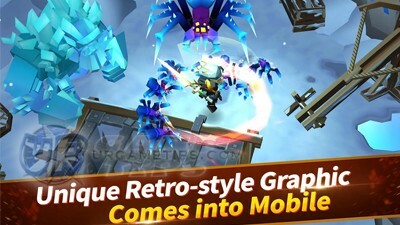 - Fire Trap will be your early AoE skill vs enemy mobs like bats, zombies, and more. Nice casting time, easy to use while moving around enemies. - Stomp is a very nice early game control skill with 2.5 seconds stun, enough to give your enemies 3 attack combos, just time it well to avoid damages. - Both skills are very useful for tight places. - Battle Leap is ok as long that you can control it properly, replace Fire Trap above for full control early game, nice versus big sized enemies and boss monsters since they can be pushed with this skill. - Blademaster can be obtained from (Ferocious Forest - First Time Clear). - Molten Strikes can be obtained from (Anvil Mountain - First Time Clear). - Molten Strikes is the only decent DPS skill for early game, but you may still switch this skill to any skill you would like to test though. - Blademaster looks vague on paper but this skill is a life saver! This is how it works: Do not get hit for 10 seconds to activate the shield (auto activates upon entering dungeons). While the orb is active, you'll get a +20% chance to parry 2 attacks. A pretty good skill for this build, keep your shield up! -You can wait or run around to charge your shield before taking on heavy hitting enemies. - Toughness is ok until you get Blademaster. - Bestial Roar can be obtained from (Anvil Mountain - First Time Clear). - Use Meteor Strike until you get this skill. Bestial Roar is your best choice at the moment and still viable until end game. Use it to clear bosses, tough enemies, and more. Try to attack as much as you can until the effect of the skill wears off. - Note: You can do a lot of combinations from here on, check below for examples, mix and match to find what is suitable for your playing style. - If you want full control, Frost Nova (First Time Clear (Stormshriek Castle - Tough) and Stomp are your best choice so far. Nice for surviving tight places, or for taking out those pesky ranged enemies up close. - Battle Leap has accuracy issues but it's ok to use if you want. Frost Trap and Blizzard doesn't have enough slow effect to be very useful, hopefully they will buff them up in the future. - Two great passive skills that can enhance your survivability and utilize active skills. The percentage taken is dependent to your damages, so the more damage you deal, the better. - Pair Blademaster with Life on Hit if you want more survivability. - Blademaster can also be paired with Mana on Hit if you prefer Blademaster over Life on Hit. - A nicely upgraded Toughness is ok too. - Holy Aura is great against weaker enemies and bosses than you, but not so useful versus tough ones at higher levels.